Next Monday, hunters in Montana and Idaho and elsewhere in the Rockies will be free to shoot at the gray wolf. As our friends at The Swamp have reported, Interior Secretary Ken Salazar announced earlier this month that the Obama administration decided to remove the animal from the endangered species list because its population had replenished. Salazar said that finding by the Fish and Wildlife Service under George W. Bush was "a supportable one. ... Scientists have concluded that recovery has occurred." Environmentalists are not pleased and are planning to go back into court. "Wolves will once again be in the cross hairs to be needlessly killed starting May 4," said Rodger Schlickeisen, president of Defenders of Wildlife. "Under the inadequate federal de-listing rule, as much as two-thirds of the current Northern Rockies wolf population can be killed." But Salazar, a former senator who grew up on a ranch in rural Colorado, praised efforts by Idaho and Montana to restore and manage wolf populations, though he kept the wolf on the endangered species in Wyoming, where he said the recovery plan is insufficient. The battle over the wolves is the latest chapter in the war over wildlife between the federal government and environmental groups. 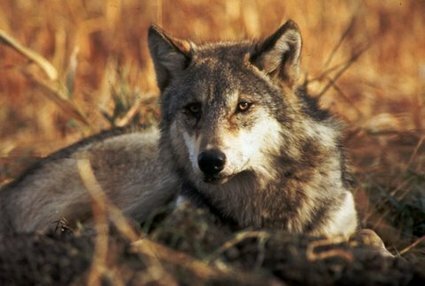 With wolves nearing extinction, the Clinton administration reintroduced them in Yellowstone National Park in the 1990s. A decade later, with populations growing, the Bush administration tried to remove the wolf from the endangered list, prompting court fights that have blocked hunting of the animals until now.